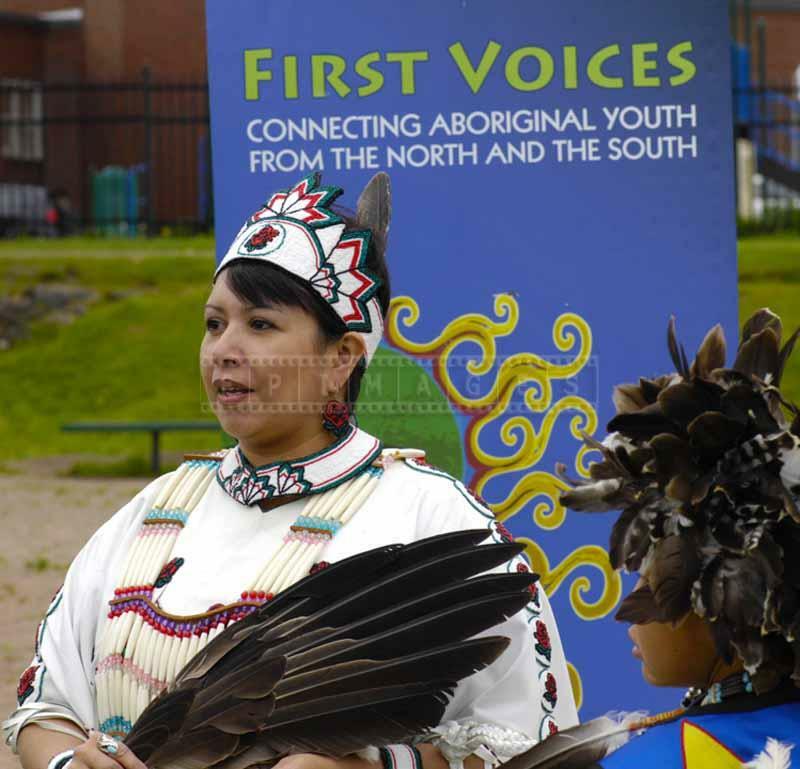 Nova Scotia M’ikmaq Native American people are indigenous to the Maritime provinces of Canada. 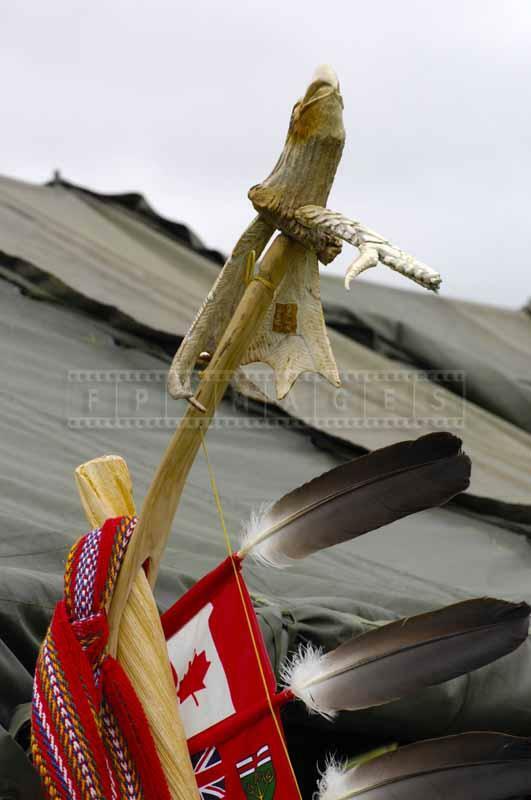 This photo story showcases the 2009 Powwow at Dartmouth commons. 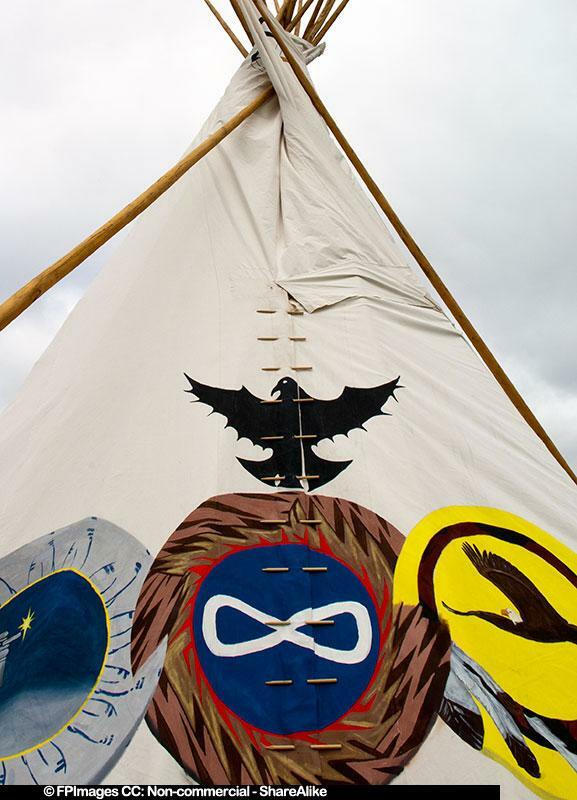 Each year location can vary and Doers & Dreamers guide is a good place to start plan a trip. 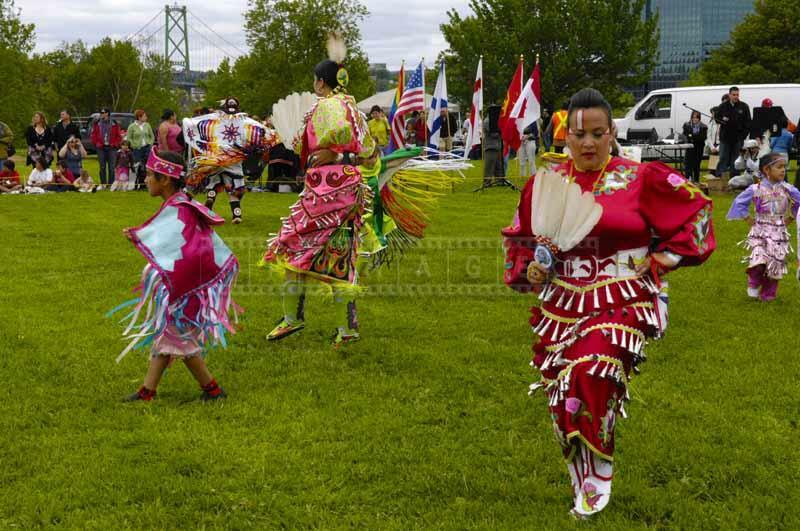 Dartmouth commons was a great location with easy access and nice picture perfect views with MacKay bridge and Halifax as a backdrop. 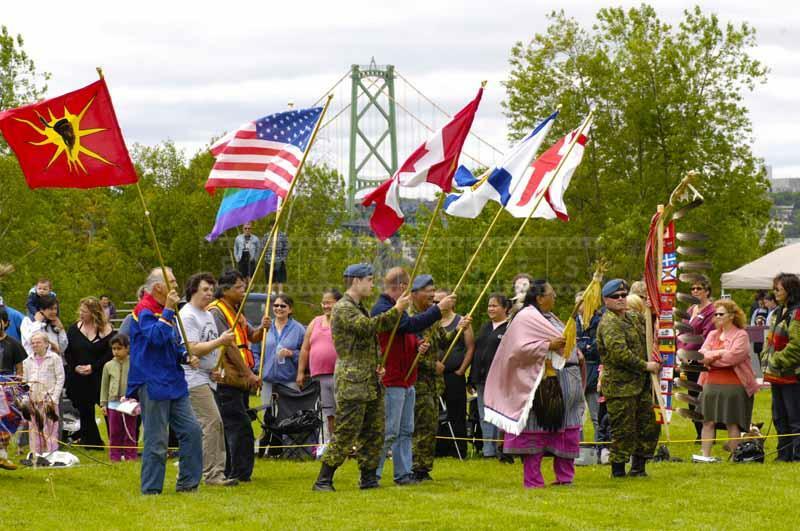 The annual Nova Scotia Mi’kmaq pow wow opened with grand entry when senior members carried flags around the circle of the arena. 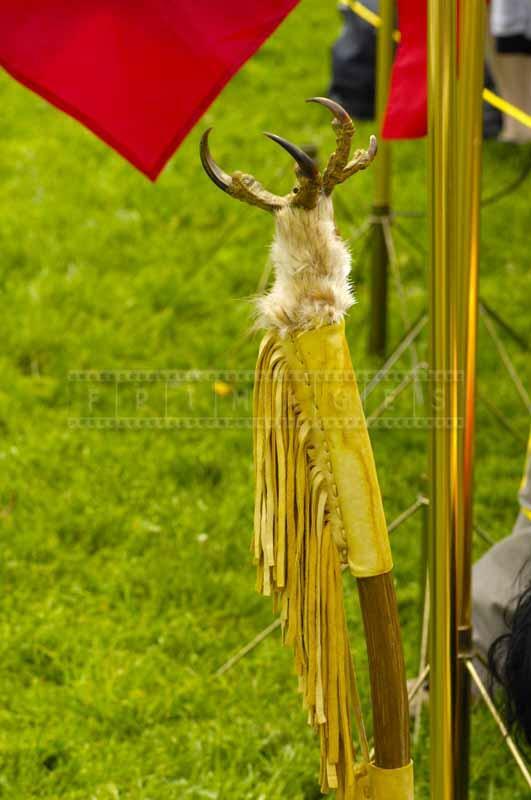 Traditional native American wigwam was setup and provided lots of fun for the kids. 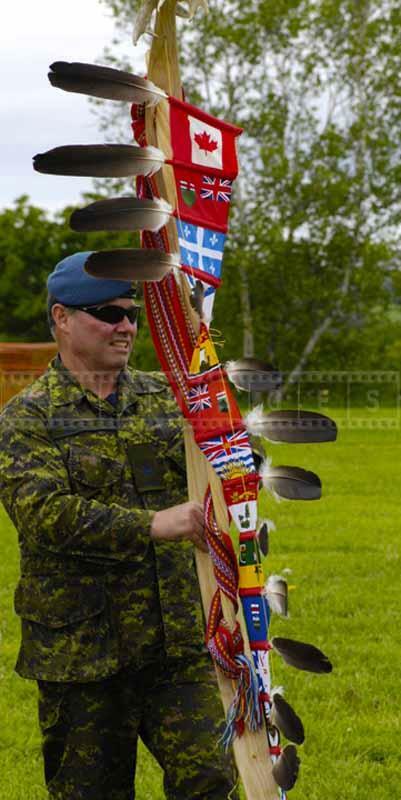 Renowned Nova Scotia Mi’kmaq Eastern Eagle band performed beautiful native songs to the beat of their drum. 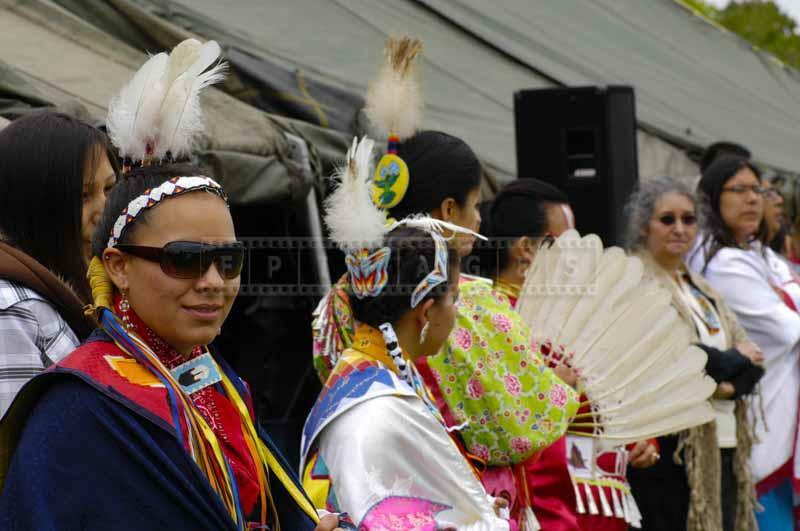 The music was very spiritual and set the tone for the whole event. 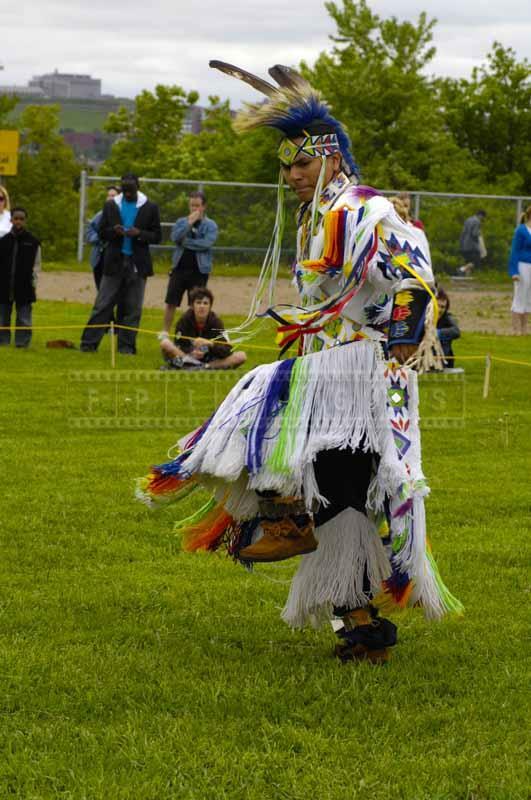 It also inspired the dancers. 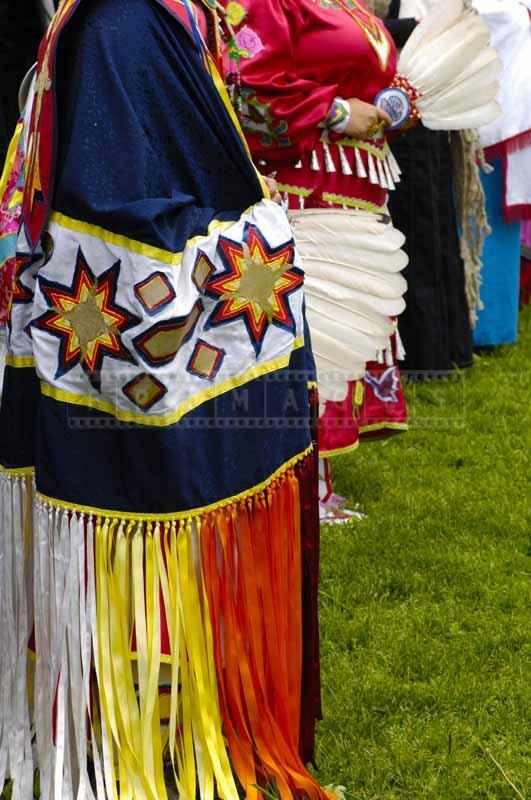 The first was a grass dance by young dancer in amazing regalia reminding of a long grass in the wind. 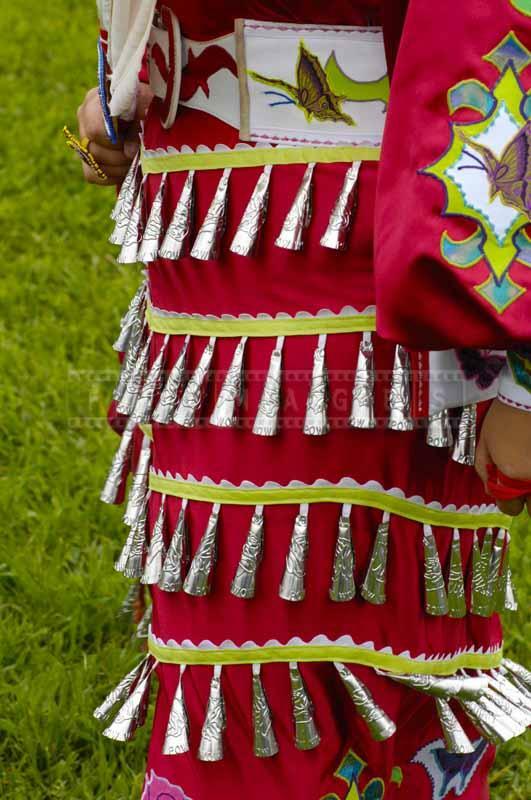 Then there were women doing healing dance in jingle dresses. 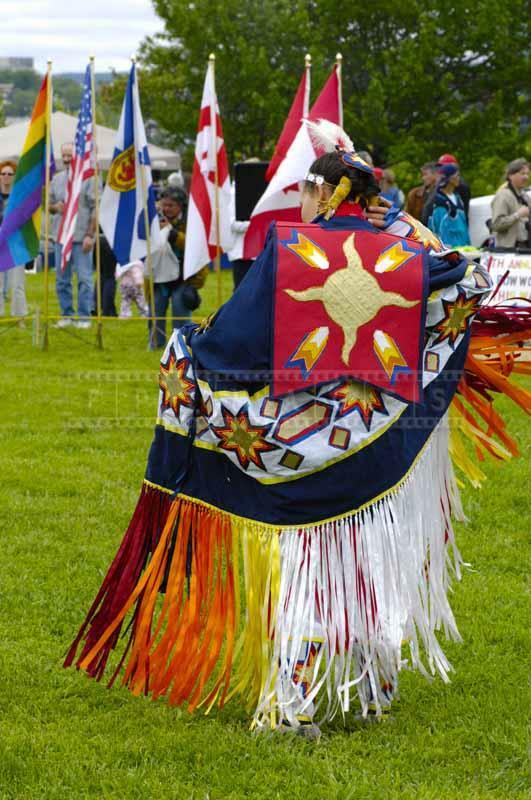 There was a shawl dance by one of the ladies and also by young girls. 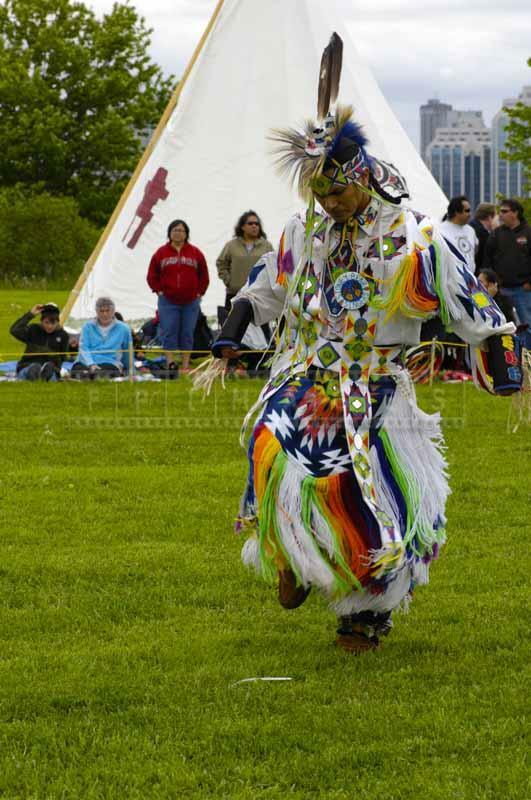 As a grand finale to annual Mi’kmaq pow-wow spectators were treated to a fancy dance. 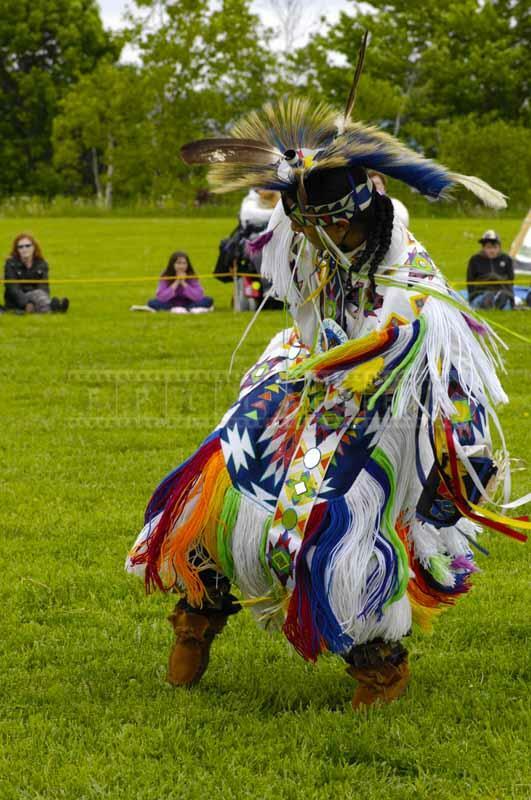 The head dancer had gorgeous regalia white and blue with orange accents, with a feather bustle, jingles, and very tall nice hair roach – male headdress. 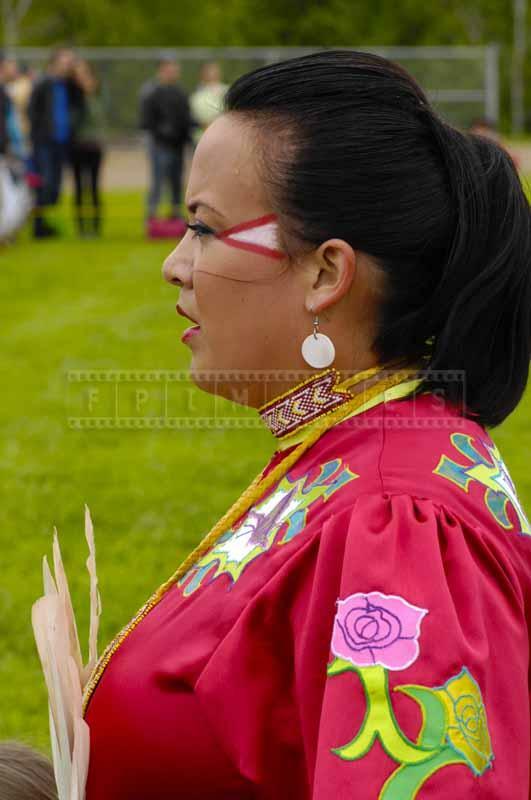 The powwow was very important celebration of Mi’kmaq culture and provided excellent opportunity for other people to learn about First Nations.